﻿ What's an "Ice Dam"? What is an 'ice dam'? 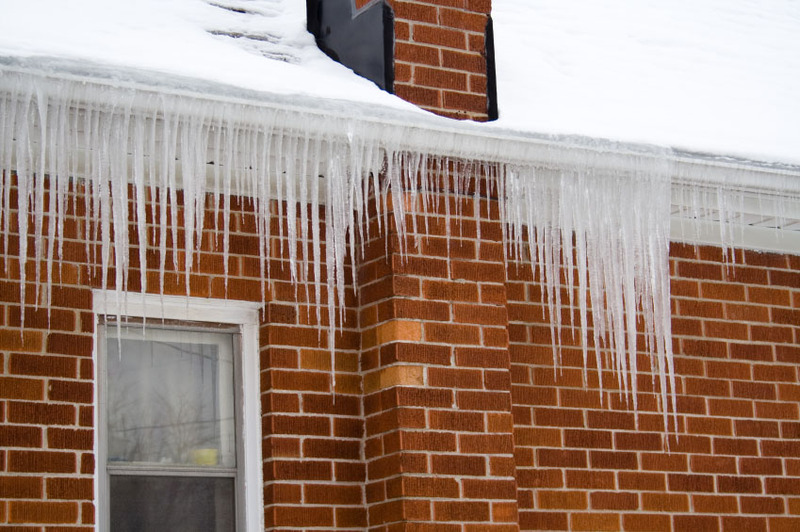 It's a ridge of ice that forms at the edge of a roof and prevents melting snow from draining off the roof. When water backs up behind the dam, it can leak into a home and cause damage to walls, ceilings, insulation, and other areas. For the short term, remove snow from your roof. A "roof rake" and push broom can be used to remove the snow. However, performing this work can be dangerous, so it's best left to the professionals. Over the long term, increase your ceiling/roof insulation to cut down on heat loss (a primary culprit of ice dams). Make the ceiling air-tight so no warm air can flow from the house into the attic space.